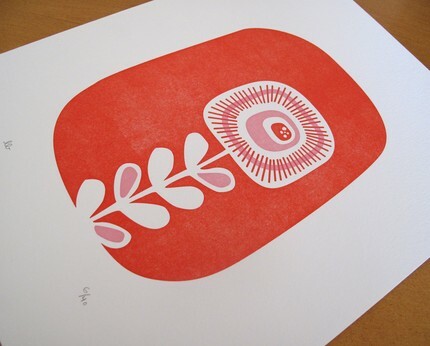 Cheerful and bright, this mid century modern print is sure to brighten your day. Hand printed letterpress by Luludee. Find it on Etsy.com.